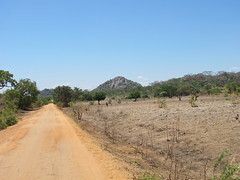 Assembly of Kit Yamoyo by Pharmanova stopped in Oct-14 due to a lack of supply of zinc in the country (but see 2.1). This meant that the distribution chain had very depleted stocks especially in Lusaka where, on 31-Oct-14, of the 11 wholesalers, 8 had no stock. Despite this, sales at retailer level did increase in Oct-14 to an average of 6 kits per week per retailer. The dossier requesting approval for the locally produced zinc (NovaZinc) had not been submitted to the regulator by Pharmanova. The plan was to submit it in Jul-14 (but see 2.2). 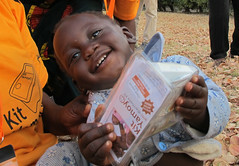 The Scaling Up Nutrition (SUN) funding for the distribution of Kit Yamoyos, to the 14 most remote districts in Zambia, mainly through the public sector, had stalled, waiting for a letter of endorsement from the Ministry of Health (but see 2.3 and 2.7). 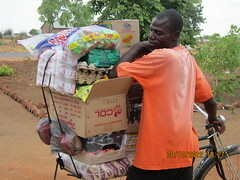 Due to a mis-understanding, the sale of Kit Yamoyos in the trial district of Katete had not been opened up to all retailers. The wholesaler there was restricting sales to those retailers who were trained during the trial (see 2.5). Due to the lack of scale-up funding, our partner Keepers Zambia Foundation will close their office in Kalomo (Southern Province) on 30-Nov-14. Local production of 25g soap had not started (see 2.6). Assembly of Kit Yamoyos re-started on 14-Nov-14 when 10,000 blister packs of zinc finally arrived. The dossier requesting approval for the locally produced zinc (NovaZinc) was submitted to the regulator on 21-Nov-14. Pending full approval we submitted a request for temporary approval through the Ministry of Health on 12-Nov-14 and we hope Pharmanova will get the go-ahead for local production of NovaZinc next week (week beginning 1-Dec-14). I spent time at the Ministry of Health and found out why the Scaling Up Nutrition (SUN) funding endorsement letter had stalled and linked with a very helpful person to help move things along. The endorsement letter was received on 25-Nov-14. 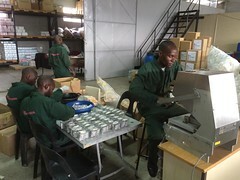 I visited Katete with Rakesh (Pharmanova) and Albert (Keepers Zambia Foundation) and the wholesaler has now opened up Kit Yamoyo sales to all, not just trained retailers. I met with our contact at Trade Kings (and the Managing Director) to renew our call for a locally produced 25g soap. We met with the Director of Medical Stores Limited who agreed to store and distribute Kit Yamoyo under the SUN project as if it were on the essential medicines list: ie at no cost to the project. Coincidentally, the launch of the SUN Business Network took place while we were in Zambia and we were invited by the organisers (the World Food Programme) to contribute. Jane presented our work with Pharmanova to five groups of 25 delegates. This was a great platform for us and updated a wide range of stakeholders on the current status of our work in Zambia, lessons learnt and transferrable tips for success. I met again with the Zambian affiliate of a multi-national NGO who are interested in including Kit Yamoyo (the screw-top) in the portfolio of health products they promote and distribute. Watch this space. I was able to do another analysis of the data collected on the tablets which I reported on here. I updated the forms on the tablets to collect additional information including: wholesaler used (so we can correlate wholesaler prices); type of shop (we have a suspicion that health shops and pharmacies work on higher margins that grocery shops); gender of the shop owner. 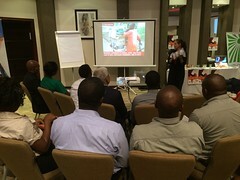 Jane submitted a concept note to the UK Aid Direct competitive challenge to support the scale-up in Lusaka. The first locally produced Screw-tops came out of the mould in Zambia and the first samples arrived in Zambia of the Flexi-pack packaging. 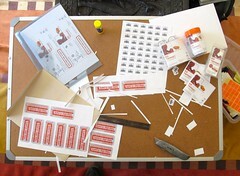 I was able to liaise with a local digital printer to produce the Kit Yamoyo training cards locally. The Guardian engaged a local photographer (Gareth Bentley) to take pictures of our work for a feature on Innovation which appeared online on 9-Nov-14 and was published in the paper itself the next day. We were able to visit a range of key partners, collaborators and friends: as well as those mentioned above, these included UNICEF, CIDRZ, World Food Programme, Dimagi, Society for Family Health, iDE and the owner of Toilet Yanga who will be giving a Kit Yamoyo to all the Chiefs of Zambia in a presentation to them this month. On balance we were really pleased with the progress that had been made since we left Zambia on 30-Jun-14 and felt we were able to push things along a bit and help unblock a couple of processes that had stalled or were progressing very slowly. It would be easy to get disheartened at the ‘bad’ points in this list and many of these would not have happened if we’d been in Zambia full-time, with Kit Yamoyo as our number one priority. However, one can’t remain present full-time and expect local organisations to take on ownership. You can’t completely hand-over if you are still around, as inevitably dependencies develop. We will continue to visit quarterly and help out where we can until Kit Yamoyo is established as a product across the whole of Zambia. But in the meantime we will leave the implementation to our local partners. Flexi-packs – changing the leaflet changes the branding. Kit Yamoyo assembly re-starts. SUN Workshop – Jane delivered this five times! 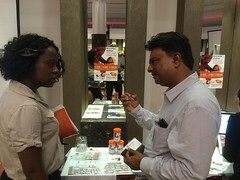 Rakesh Shah of Pharmanova explains Kit Yamoyo at the SUN Business Network launch event. The Kit Yamoyo Screw-top. This is the production version. 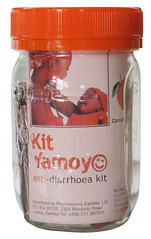 The Kit Yamoyo Flexi-pack. This is the production version. 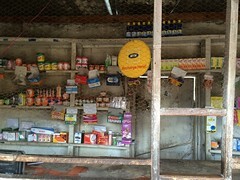 Kit Yamoyo on the shelves of a Lusaka retailer. Model making! 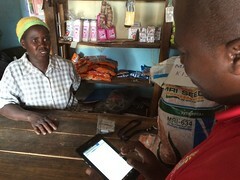 The tablet in use during a visit to a retailer in Sinda District. “The Last Mile” – Sinda. Your visit was indeed helpful and looking forward to the next visit. Kit Yamoyo is currently in stock here in Katete and retailers are busy buying it. Its the project of the year were health projects are concerned. Thanks Elias. I hope it will be health initiative of the decade! Keep up the good work on the front line!